Stories are the programming language of culture. The stories people share in an organization reinforce the underlying beliefs and assumptions that shape the culture. To shift culture, reprogram it with new stories. Stories capture your imagination, which makes them easy to remember and pass on. One startup I worked for had a leader who repeatedly shared the story of how and why he founded the company. It created a compelling draw for new employees and invited an entrepreneurial culture with a “can-do” attitude. It shaped a culture that grew to 25 offices and 1,600 employees in five years. There was a consistency of culture because of the emphasis on that shared story. Stories connect emotion with facts which inspires people to take action. As Alan Weiss says, “Logic makes you think, emotion makes you act.” This is especially helpful when making the case for change. Stories have the power to break down barriers by addressing potential objections, suspicions or concerns before they are even raised. They can also serve to reduce barriers by building trust. For example, a leadership team replaced a previous administration that reigned terror on the employees. The new team acknowledged the damage and shared their vision for a more constructive culture. They created a vision for a new way of working together. Stories reinforce beliefs that either support or undermine your culture change. We are guided by stories. We listen to stories, tell stories, share stories and most importantly behave in ways that support stories. Change your stories and be changed by them. There are four types of stories that shape culture. “Identity” stories are about who we are and where we came from. They capture what’s unique and special in the DNA. “Success” and “failure” stories are about what is rewarded versus what is punished. Finally, “future” stories are about where the organization is going. ISFF (Identity, Success, Failure and Future) are the core stories that you can tell or will be defined by your culture. Change the story to change the culture. Identity: Do all employees understand why the organization exists and how it came into being? A powerful identity story shapes the essence of the organization and the connection employees feel. A colleague told us about a sales meeting where his client shared the story of their founding and why they exist. He talked about the struggles of the early days and all the leadership team did to make it successful over the years. Not only was it inspiring to our colleague, it made him want to work harder to win their business and help them be even more successful. Where did we come from and why do we exist? How do we fit in to the industry, field or organizational landscape? How do we view the world around us? Success and Failure : These are the stories that provide employees with clues on how to behave. Success stories talk about what happens when you do something well. One organization we work with had research scientists who did something amazing decades ago and are still revered. They were well compensated despite contributing nothing in the recent past. The success story of this organization was to make one big contribution and you will have a meal ticket for life. What do people do to get promoted, raises or recognition? When something fails, what happens? There are people who are doing the things that represent the way you want your culture to be. Find them and showcase them. Celebrate the success of what’s working. You get more of what you focus on. 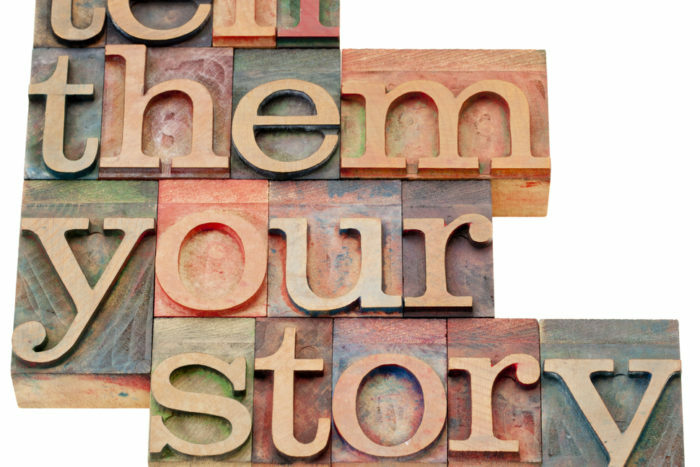 Tell stories about what’s wildly successful. The Future (AKA vision or strategy): Does everyone in the organization know the direction to move? There are millions of dollars in lost productivity from decisions made that do not align to the vision of the leader. The more clear and aligned employees are to the vision and strategy, the more consistently resources are deployed, decisions are made and actions focused on the right future. Why is this the right direction for our organization? The Point represents the main message, central idea or the theme that you want to convey through the story. What element of your culture is highlighted by the story? The Background or the setting (when and where did it happen?) and the people (who are the characters?). The Plot is the series of events that took place to overcome obstacles or achieve goals; what was the struggle and how did the characters overcome it? This is all about what happens. The Conclusion is how it ends? Connect this to the point that you want to reinforce. Once you have the pieces, make it sticky. Pull all the pieces together in a compelling story that creates curiosity and compels people to care. If you have some interesting stories related to culture or story resources, please share below. I am on a journey of discovery as I improve my storytelling capabilities while helping organizations improve theirs. Donna Brighton is an expert in organizational culture and change. She advises CEO’s, directors and executive teams throughout the world to rapidly accelerate strategic outcomes. Donna has been consulting for nearly 25 years, and has done leadership-and-change projects in 27 industries. A recognized thought leader in the field of organizational change she recently was co-editor for the People & Strategy Journal special edition on change management. Donna holds a Master’s Degree in Organizational Leadership as well an advanced certification in Organizational Change Management. She is the President of the Global Association of Change Management Professionals and has served as a volunteer leader since its inception. She is co-author of Move and the Goal Achievement Workbook.